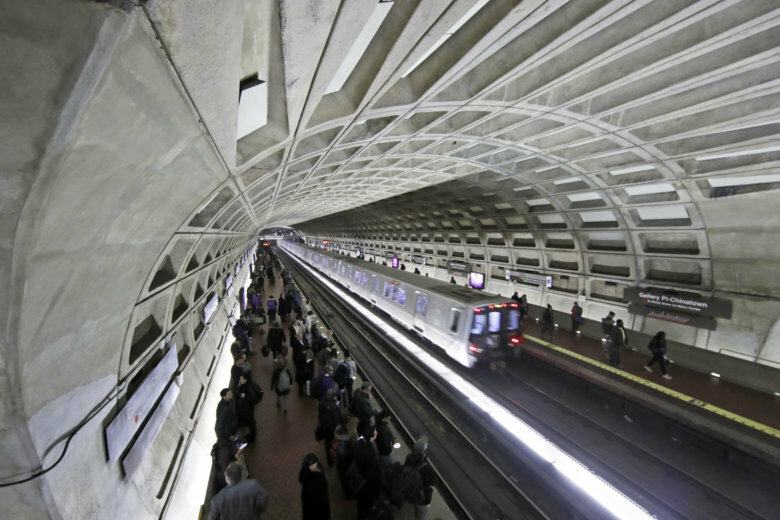 WASHINGTON — Metro hopes to lure back riders next year with discounted and expanded unlimited-ride passes as a way to head off long-term forecasts of limited rider revenue growth. Metro riders are much less likely to use passes than riders of many other similar transit systems across the country. “Most of the time that WMATA has looked at passes or fares in general has been to increase fares in order to balance the budget. This is the first time in at least as long as I’ve been here where we’re doing it not as a revenue driver, but as a ridership driver,” said Dennis Anosike, chief financial officer. Changes to start next July would include a further discount of the weekly regional bus pass from $17.50 to $15, the addition of free bus rides to all monthly SelectPasses, and a new flat fare of $2 on weekends to simplify rides for visitors and address significant weekend rider declines due to near-constant track work. The bus pass would pay for itself after eight rides rather than nine, which could make it more appealing to people who telework one day a week, for example. With an unlimited pass, riders would be more likely to use Metrorail or bus when considering different options for a specific trip, since that specific trip would not cost anything. Metro hopes the ridership boost and significantly reduced overhead costs from transitioning more people from many individual transactions to daily, weekly or monthly passes and simplified weekend fares would end up being a benefit to the budget, but it is at minimum planned to be revenue neutral. Metro did not conduct rider surveys on the $2 weekend flat fare before the proposal, and expects to take public comment on it as part of the broader budget public hearing expected in January or February. “As Metro’s service reliability improves and as the mobility landscape becomes much more competitive, the proposed budget leverages pricing to help WMATA attract and retain customers,” Anosike said. The $2 flat fare would be a significant discount from the average weekend fare today, which Anosike said was around $3. Weekend rail trips cost between $2 and $3.85. “The flat fare is just a recognition of what we have in front of us right now, but we also have to look at how we’re actually doing the delivery,” said General Manager Paul Wiedefeld. He expects a review of how weekend track work is done to be completed in “the near future.” That includes considering more work during weeknights or middays, isolating work to specific smaller parts of the system and more shutdowns rather than single-tracking. When Metro runs more trains, more people ride. The bus pass discount is projected to add 700,000 additional bus trips per year at a cost to Metro of $1.8 million. Arlington County’s Christian Dorsey asked if even more dramatic change is warranted. “Have we considered rebuilding our pass offerings from the ground up? Really rethinking them instead of trying to tweak them?” he said. Anosike believes the recommended changes are a result of a holistic review. If more people do sign up, the reduced costs to Metro of handling many individual cash and credit card transactions are expected to simplify Metro’s fare collection process and save money with fewer staff and less repair needed for machines. Metro has not focused on this change Anosike describes as a win-win for riders and the agency for years, and it becomes even more important as Metro’s forecasts predict no rebound to the ridership or rider revenue the agency saw around 2009, when passenger revenues were growing 6 percent each year. Since 2013, rider revenues have fallen an average of 2 percent per year. “We anticipate that future passenger revenue growth may be flat at best, putting significant pressure on both WMATA and the region,” Anosike said. That pressure has already sparked infighting on the Metro Board over the budget proposal, including a request to Maryland, D.C. and local governments in Virginia to nearly double the planned increases in their operating contributions next year. Under the latest breakdowns, the District would pay $421 million (up 3.2 percent), Maryland would pay $456 million (up 10.3 percent) and Virginia jurisdictions would pay $305 million (up 11 percent) in the year starting next July if all of Wiedefeld’s budget proposal is adopted. That proposal includes extension of rush hour periods, simplified operations with no turnarounds in the middle of the line by extending all Yellow Line trains to Greenbelt and all Red Line trains to Glenmont, and the final steps to run all eight car trains. Federal Metro Board member Steve McMillin, who recently said running more trains would be a “crazy” way to draw more riders given subsidy limits, said again Thursday that the cost of adding service is extremely high given the return in riders’ fares. Wiedefeld responded that Metro has to be more than just the finances but also a public service. Metro Board Chair Jack Evans wants local governments to pay more to cover service expansions, including additional funding beyond what has been requested to potentially restore some or all of Metro’s former late-night hours.